Will 2019 Be Plains All American Pipeline's Best Year Yet? Last year was an odd one for Plains All American Pipeline (NYSE: PAA). While the oil pipeline master limited partnership was on track to deliver its best financial results in years, its unit price slumped 3% for the year after tumbling in December along with the price of oil. That late-year sell-off wiped away what had been an excellent year for investors, as the company's unit price rallied more than 30% at one point. 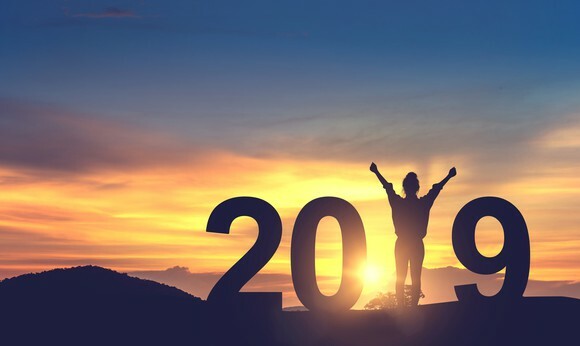 However, while last year was one that investors would rather put in the rearview mirror, there are reasons to be very optimistic about what lies ahead in 2019, since it's setting up to be the company's best yet from a profit standpoint. Data source: Plains All American Pipeline. Chart by the author. As long as the company's fourth-quarter results don't fall short of its expectations, Plains All American Pipeline will end 2018 about 11% above the former record set in 2014, which was the year oil prices started crashing from their triple-digit peak. However, as good as last year should be, Plains All American expects 2019 to be even better. 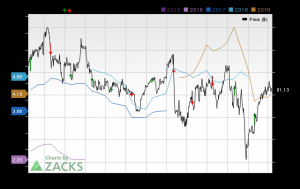 The company currently anticipates that it will produce about $2.8 billion of earnings this year, which would be roughly 10% above 2018's projection. Driving that growth will be two major pipeline expansion projects that the company expects to finish over the next year. Plains All American already started service on the phase two expansion of its Sunrise oil pipeline last quarter, which will be a major driver in early 2019. Meanwhile, the company is targeting partial service of its Cactus II pipeline by the late third quarter of this year, which will give it momentum heading into 2020. That double-digit earnings growth should help fuel gains for investors this year. However, it's not the only catalyst that could trigger a rebound in the pipeline company's unit price. One of the biggest could be a reset in the company's distribution level. 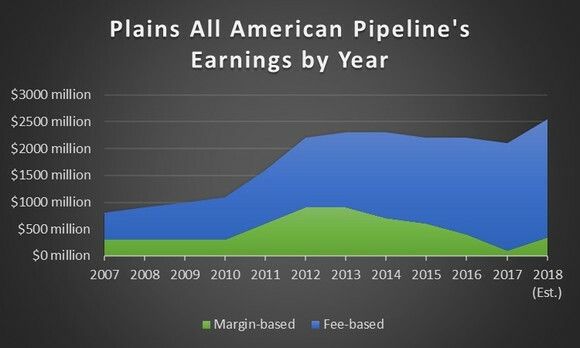 Plains All American Pipeline had to reduce its distribution to shareholders twice in the years that followed the oil price crash -- first to give it more breathing room, and then a second time so it could conserve cash and pay down debt. However, the company expects to achieve its targeted balance sheet by early 2019, which could enable it to boost its payout this year. In addition, Plains All American could follow in the footsteps of its peers by merging with its parent Plains GP Holdings (NYSE: PAGP). Such a move would eliminate its complexity while reducing costs, which would make it an even more attractive option for investors. Finally, Plains All American has several expansion projects in development that it could sanction this year, which would set it up to continue delivering record-breaking results in the future. One of the biggest is an oil pipeline joint venture with ExxonMobil (NYSE: XOM). The pipeline is not only crucial in supporting ExxonMobil's expansion plans, but it would also enhance Plains' long-term growth prospects. Unless something unexpected happens, 2019 should be the most profitable year in Plains All American's history. Those record results, when combined with catalysts on the horizon such as a distribution increase, simplification transaction with Plains GP Holdings, and new project announcements, could ignite the company's units, causing them to soar in 2019. It's quite possible that investors could even see a gain of more than the 30% they got a taste of last year if oil prices reverse their slide and head higher in 2019. While that wouldn't get the company's unit price back up to its peak in late 2014, it would help narrow the currently wide gap.